The designs and patterns are very unique and original. The delivery is prompt. You can pay online and receive your own "Nakhra" within a week. Choose the one you want wisely because they are heavy to wear. They have limited quantities available for each design so hurry and order off of their Instagram page. 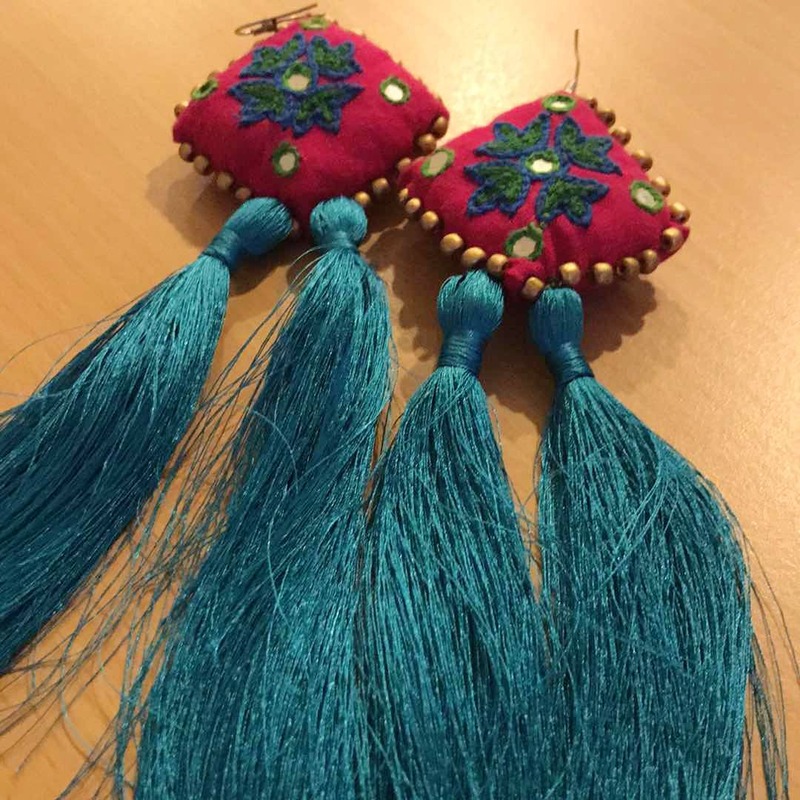 The prices are slightly steep but since each earring is handcrafted, it more than makes up for the splurge. The earrings are super sized and heavy to wear so be sure what you want before you order. The earrings range from somewhere about INR 1,500 to INR 4,000.